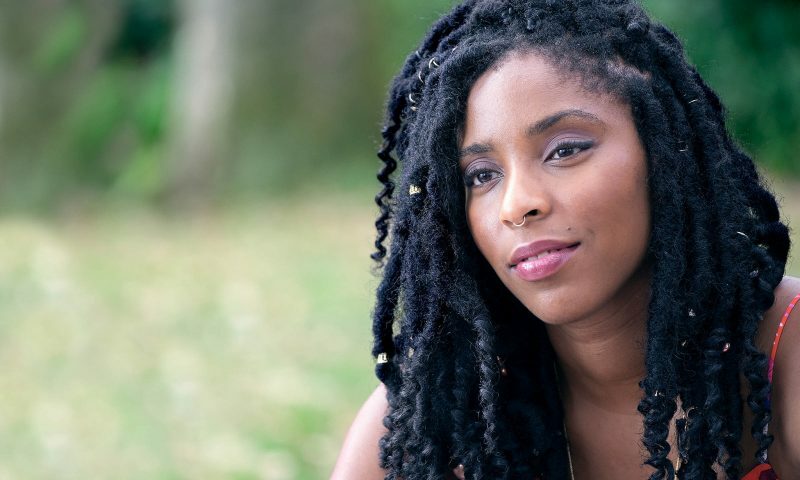 In The Incredible Jessica James, Daily Show correspondent and terrific 2 Dope Queens co-host Jessica Williams shines spectacularly. Inspired after working with Williams for his 2015 People Places Things, director Jim Strouse decided to write an entire film tailor-made for her in the lead. The result is a lighthearted indie comedy that shines through its winsome, genuine characters—and especially the effortlessness with which Williams commands each scene. Jessica James is a 25-year-old aspiring playwright living in Bushwick. She loves theater. She tapes up theater-house rejection letters to her walls, and she has a massive binder of all the plays she’s written. She also works for an after-school program that teaches elementary-school students how to write and produce their own plays, for which she often recruits the acting help of her best friend (played cheerfully by Masters of None star Noël Wells). It’s easy to fall in love with Jessica James’ character, from an opening-credits dance scene to the brutal honesty she brings to her Tinder dates to how efficiently she shuts down subway manspreaders. The main item on Jessica’s mind, though, is her recent breakup with ex-boyfriend, Damon (played by Lakeith Stanfield of Crown Heights and Atlanta). Despite her messy feelings, she agrees to go on a blind date with Boone (Chris O’Dowd), a slightly awkward and low-key hilarious yet immensely likable app creator. After a strained first date and a couple of hookups, Jessica and Boone’s chemistry becomes palpable, and as they begin to open up, they find themselves starting to fall for each other. However entertaining the budding relationship, The Incredible Jessica James isn’t a romantic comedy. It’s a character piece about Jessica and who she is. When Jessica goes back to her Ohio hometown for her younger sister’s baby shower, the uneasiness she feels around her family becomes immediately clear. (It’s somewhat lightened up by an all-too-real exchange about patriarchy that Jessica has with another baby-shower guest.) We also follow along with Jessica as a teacher and mentor—she’s confident in these roles, but refreshingly, she’s also the first to apologize when she makes a mistake. She easily spreads her infectious love for the theater to her students; she encourages their thoughts, interruptions and imaginations; and she especially emphasizes playwriting as a platform for storytelling and self-expression. Jessica grapples with who she wants to be—a playwright who has “made it”—and what exactly “making it” entails. By the time she gets to meet her hero, award-winning playwright Sarah Jones (playing herself), Jessica begins to wonder about the possibility that, despite how much she loves theater, theater might not love her back.